- 50 mins private access to the studio where guests will learn a choreographed routine customized to their favorite song. - Guest of honor receives a free pass for a group class!  - 1.5 hours private access to the studio where guests will learn a choreographed routine customized to their favorite song, will have time to take tons of pictures and enjoy a complimentary beverage. - Guest of honor receives TWO free passes for a group class! - Two hours private access to the studio where guests will learn a choreographed routine customized to their favorite song, will have tons of time to take pictures, enjoy any food they've brought and a complimentary beverage toast to close the event. - Guest of honor receives THREE free passes for a group class! Custom Cake Pops are available as an add on to the Standard and Deluxe packages. Trust us, they're to die for. Inquire at time of booking or check out @cakepopsbyalexa to start getting ideas of what you may like! Woohoo, we can’t wait to party with you!!! We will call you within 24 hours to get the ball rolling on your reservation, Queen!